Facet joint fracture can occur at several locations on the vertebra, affecting joint anatomy, integrity and functionality. Most fractures which affect the facet joints occur at the pars interarticularis, although others may occur at the pedicle or even on the transverse process of some spinal bones. Vertebral fracture ranges in severity from insignificant to extreme, with the worst cases threatening to undermine the entire stability of the regional spine. Fractures in the spine are surprisingly often treated conservatively. Depending on the nature of the fracture and the consequences it produces, nonsurgical care might be provided or surgical intervention may be performed. There is no universal treatment for all spinal fractures. Instead, each fracture must be evaluated and managed under case-specific criteria. 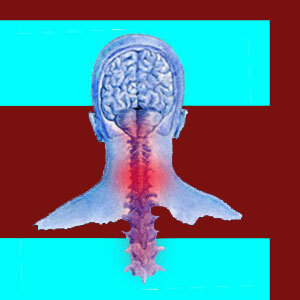 This dialog explores how fracture of the spinal bones can influence the facet joints. We will also examine some of the possible treatments for fracture-enacted facet joint dysfunction. One of the most common locations for a fracture to occur is at the pars interarticularis. This area might be susceptible to fracture due to relatively common incidence of congenital defects, the effects of injury or the consequences of age. The pars interarticularis is located in close proximity to the facet joints and can completely undermine their functionality when the region is severely damaged. Some patients demonstrate fracture of the pedicle at the lateral aspect of the vertebral bone. When these fractures are severe, they can influence the facet joints, as well, especially in some vertebral bone designs more than others. Small fractures might affect the facet joints themselves, such as at the edges of the joint where the superior and inferior facets meet. These types of fracture are the least clinically significant; although they can produce relatively severe pain for a time. Obviously, widespread fracture, commonly caused by massive trauma or by the effects of advanced age (compression fracture), can undermine the form and function of the facet joints regardless of where they occur on the vertebral bone. This is particularly true when the fracture threatens general spinal stability. Fracture can be painful unto itself and may not heal properly. Improperly healed fractures might become sites for accelerated degeneration or chronic pain, but the latter persistent pain profile is rare. Fractures can dislocate or misalign the facet joints, undermining proper joint functionality. Fracture can affect the joining of the spinal facets, potentially inciting increased bone on bone interactions, degeneration of the protective measures of the joint and formation of osteophytes. Fracture at the pars interarticularis is a major contributor to spondylolisthesis, as well. If the vertebral bone shifts forward (anterolisthesis) or backwards (retrolisthesis), the facet joints will not be aligned or operating correctly. Minor fractures might be monitored for healing, rather than actively treated. In many cases, the spine will heal just fine with minimal medical intervention. These conservative approaches are usually used when the fracture is not threatening to undermine spinal form or neurological functionality to any significant degree. Minimally invasive open reduction of some types of fracture might be performed in select instances of vertebral fracture. Alternately, high tech procedures like vertebroplasty or kyphoplasty might be performed to repair fracture defects using special anatomical-application cements. Spinal fusion is usually used for large, serious, neurological-threatening, or unstable fractures, as well as in cases of vertebral collapse common to extreme compression fractures in the elderly. In some instances, the fusion must be combined with corpectomy and additional bone grafts or supplemented by spinal implant placement. In cases of fracture-enacted spondylolisthesis, fusion is certainly the treatment of choice, especially in grade 3 and 4 classifications of vertebral migration.